The State Championships on Saturday, were everything we had hoped for and more! 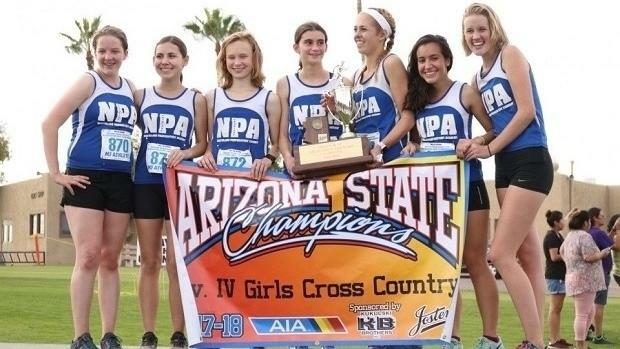 The Division IV races had plenty at stake for Northland Prep as well as Hopi. NPA's superstar Maya Smith had won the D4 title for her previous three years, and was the overwhelming favorite for the Title. 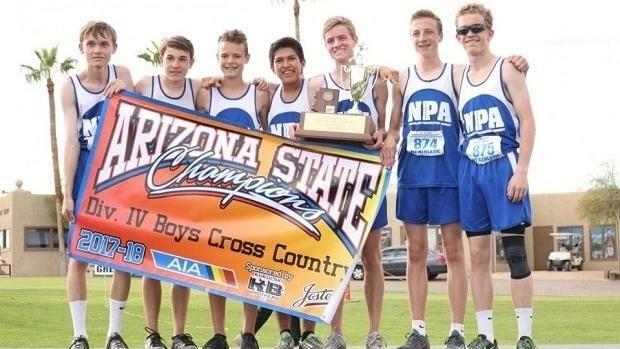 Meanwhile the Hopi boys, eager to defend their team title and keep their 27-year streak alive, had to contend with an up and coming challenge from the Northland Prep boys. Following the DI Boys, Maya Smith (Northland Preparatory Academy, Sr.) pressed her lead along the grounds of Cave Creek Golf Course set on closing out her final scholastic season at Cave Creek with a final State title. Ali Upshaw (St. Michael's, So.) followed second finishing in 18:55.7 and Keelah Barger (Northland Preparatory Academy, Sr.) backed up her teammate Smith finishing 3rd. Precious Robinson (Pinon, Jr.) and Rachel Field (Gilbert Christian, Sr.) took 4th and 5th place finishes respectively in career best times. The Division IV boys race was the last of the day and it was anyone's game, with guys like Jordan Black (North Phoenix Prep, So.) 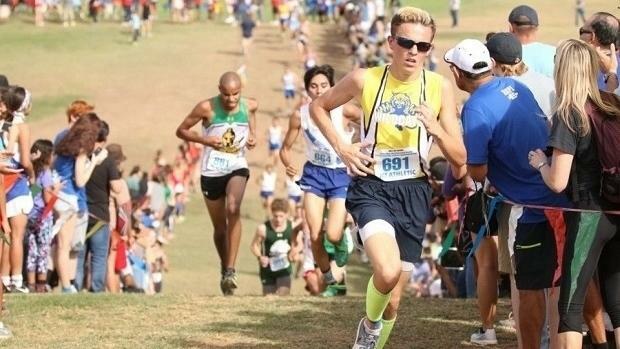 who ran 15:51.8 at Doug Conley early this season, and Jihad Nodman (Hopi, Jr.) ranked 2nd with 16:10. It was however Talon Smith (Joseph City, Jr.) who held through to the finish in 16:38.9. Nodman followed in 2nd and Ben Black (Pusch Ridge, Sr.) finished 3rd place in just under 17 minutes. It was a fantastic day for Flagstaff schools with the Eagles dominating Division II that morning and Northland Prep executing their own sweep for the titles along with Smith's individual title. Maya, Keelah, and Nora Blodgett (Sr.) secured the necessary finishes for the team title, while Andrea Lopez (Sr.) and Kate Bailey (Jr.) shut the door for the Spartans with a total of 70 points. Hopi took home the runner-up trophy, edging out St. Michael's girls by only 3 points. Brandon Bounds (So.) led the Northland Prep Boys in 4th, and was joined soon after by Hayden Anderson (So., 8th) and Nalzheii Lonetree (Sr., 12th). Nicholas Hall (Sr.) finished 19th place for the Spartans widening the gap from the Bruins. Micah Stanton (Jr.) finished 23rd to put the final nail in the coffin and cut Hopi's winning streak of 27 years. NPA amassed 57 points, Hopi took a heartbreaking 2nd with 68 points and Alchesay finished 3rd with 149. Check out more coverage from the Division IV Championships here.